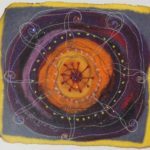 There will be less color and artistry on the third floor of Summit Artspace, the Greater Akron downtown community art center, with the passing of fiber artist and writer Connie Bloom on Aug. 29, 2016. 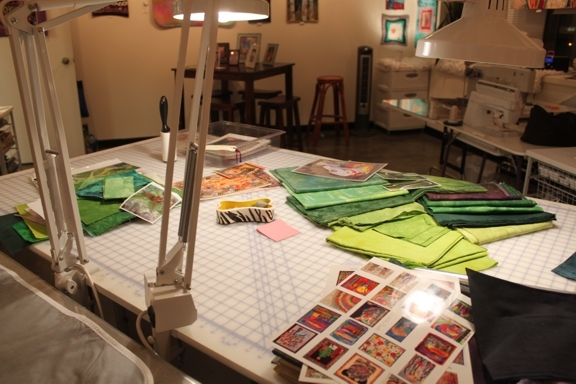 Connie set up her quilt-making studio on the top floor of Summit Artspace in 2010. 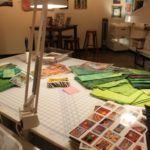 She fixed the lighting and space to perfectly suit her passion for quilting. 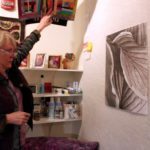 What was so special about Connie was that she loved to invite the adults and children who visited the art shows and events at Summit Artspace into her studio to talk about her craft. 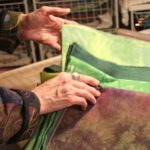 Like an architect or engineer, she could walk you through how she planned to build her next quilt, whether depicting a stand of birch trees, her pets or a patch of hosta. 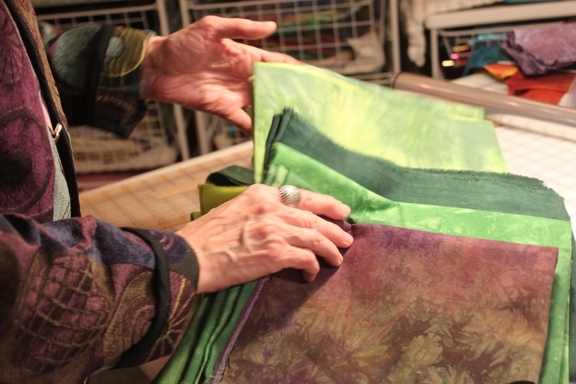 She had it strategized down to the exact specially-dyed fiber swatches, thread and layout. 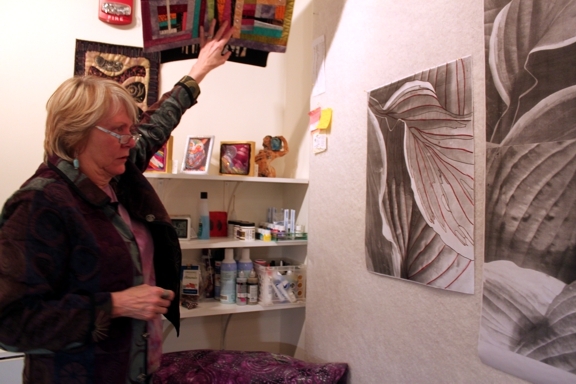 Connie came to Summit Artspace after a long and successful career as a journalist. She was a staunch supporter of the organization and we benefitted from her faith in us to provide a place in the Greater Akron area where artists could work and the community could be enriched by that work. She will be missed by the staff and fellow artists who rented space alongside her and came to know her wit, forthright conversation and talent with a slip of cloth. She was respected by us all as an artist and as an advocate for the arts. Connie had that passion for the success of Summit Artspace. For that we will always be grateful and try to live up to her faith in us to create a place where artists and community meet and learn from each other. To that end, Connie was true to her convictions. 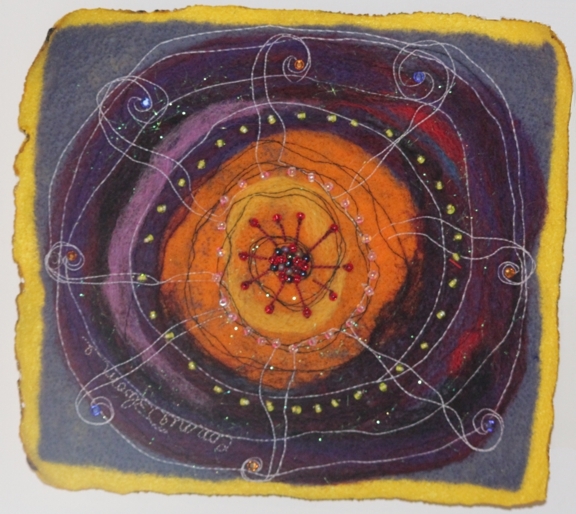 She directed her fellow Summit Artspace studio artists and friends, Joan Colbert and Katina Pastis Radwansk, to organ ize a sale of her fiber art to benefit Summit Artspace and the Artists of Rubber City which runs the The BOX Gallery, also on Summit Artspace’s third floor. The Connie Bloom Memorial Celebration and Sale took place Sunday, Sept. 25, and where else but the third floor of Summit Artspace, 140 E. Market St., Akron. Ever the organizer, Connie has planned the event with food, beverage and music from a favorite band. The guest list included Connie’s friends and admirers but also included the public with whom she was so passionate about sharing her art. You can read more about Connie’s life by clicking here.